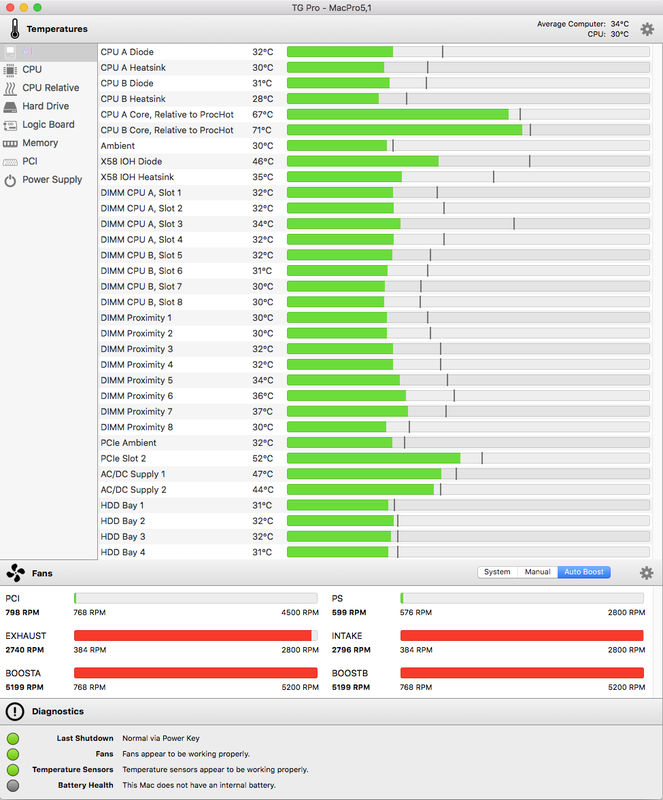 MacPro 5,1 Mid 2012 has fans blowing full blast on startup. SMC reset does not fix the issue. Is there any way of fixing this without going to the Genius Bar? Everything green except 4 of the 6 fans. Exhaust, Intake, BoostA and BoostB. The weird thing is that I have several systems with the TitanXP card that don't have this issue with the fans. This system is running 2x 3.49GHz hex-core Xeons. It'll run a tad hotter than most. That appears to be a custom CPU never offered by Apple. 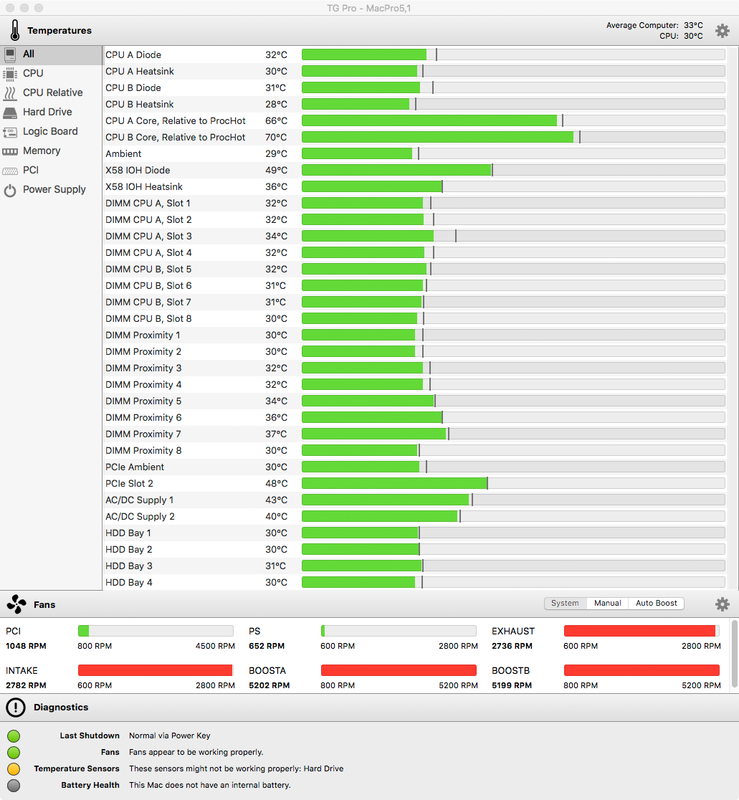 How's the GeekBench? (I'll post mine after I run it. (see update above on Geekbench)) Am running a 1TB 860EVO drive. I'm also running a GeForce 120 (second one). Also running one in a 2008 MacPro. Yes, the CPUs are custom. SSD is an Apple branded Samsung part originally from a MacPro 6,1. Looks like the video card wasn't the problem after all, as the fans are still running full blast after I removed it. It ran normal for about 30 minutes before the fans kicked in. Some Guy sarà eternamente grato.